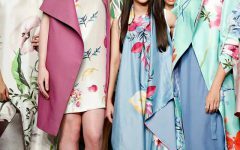 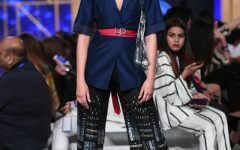 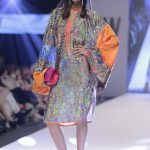 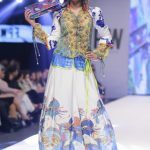 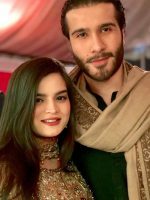 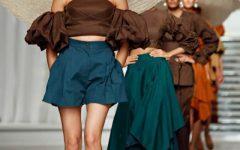 Tapu Javeri presented its exotic collection in the last fashion show Pakistan Week 2014 and won praise for its elegant designs, chic and flirty. 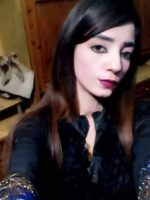 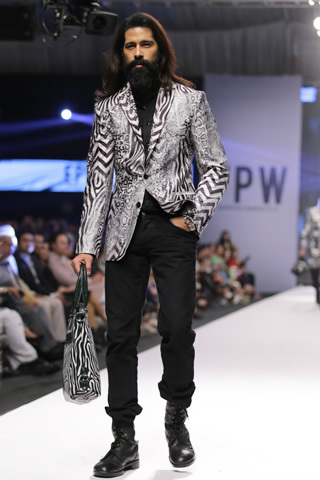 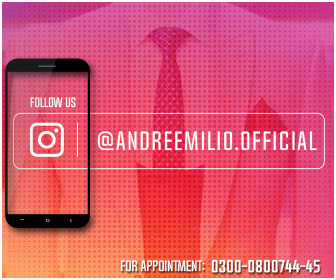 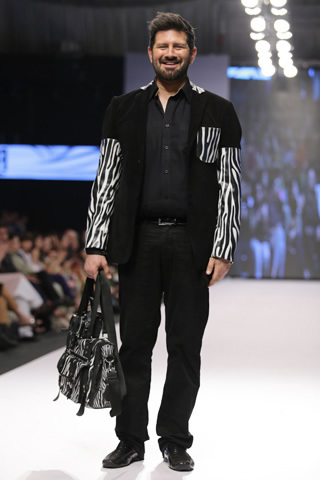 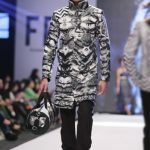 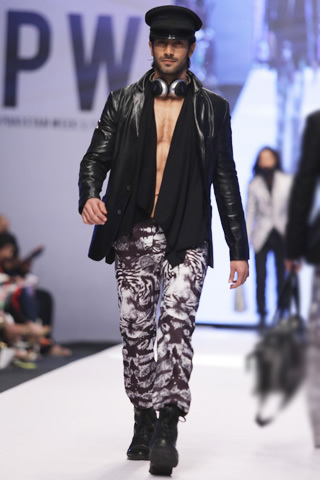 Fashion Pakistan Week 2014 took place February 19, 2014 in which different designer showcased their latest formal and semi formal collection. 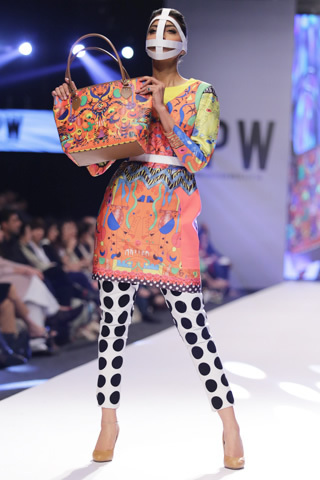 Tapu Javeri presented its Psychedelic prints with repetitive patterns. 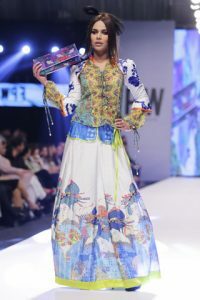 Act one of Day 3 started with a bang with a noticeable and funky collection by Tapulicious featuring Kamiar Rokni, HSY and Mohsin Ali. 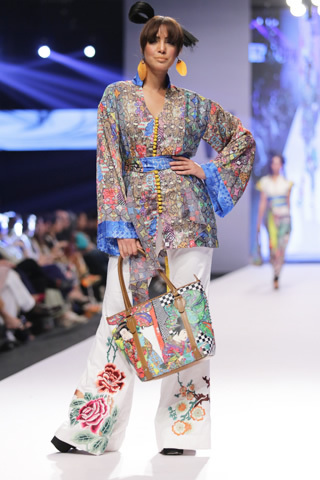 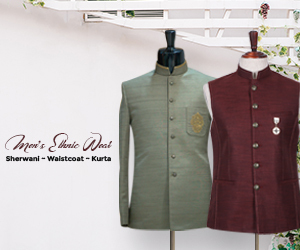 The ensembles were enthused by multicolored and recurring patterns of conventional ‘shamiana’ tents. 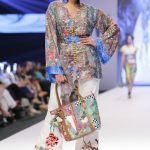 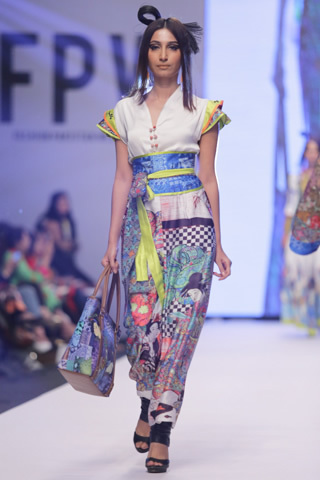 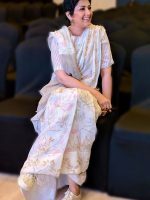 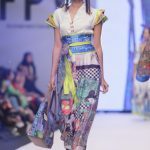 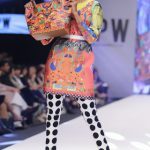 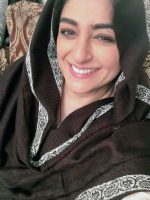 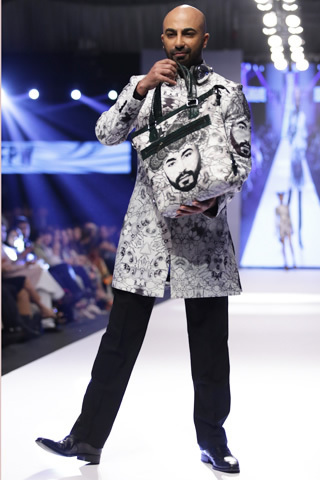 The prints and bags were based on silk paintings and artistry of a famous Japanese artist, and Tapu’s aunt, Mariam Syedullah. 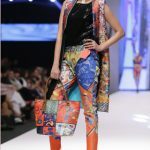 Each one of the print contained hundreds of miniscule photographs of Karachi that were put into artistic stitch by House of Kamiar Rokni. 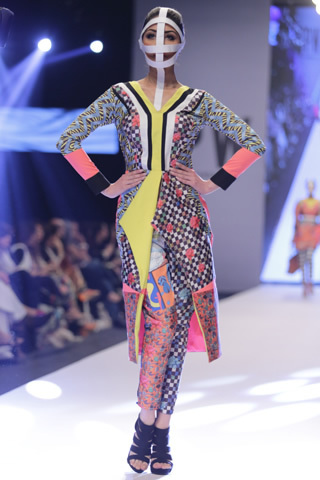 The second collection of Tapu featured Mondrian-style colour blocking that was crafted into garments by the very talented Mohsin Ali. 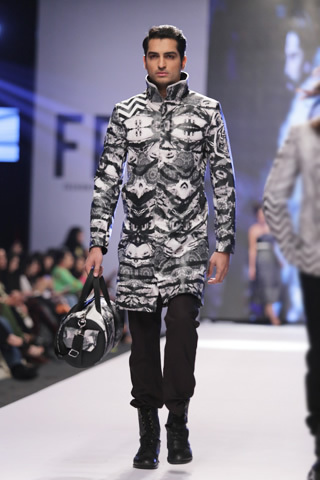 The third and final selection was inspired by current day to day trends with a monochromatic look at the animal world. 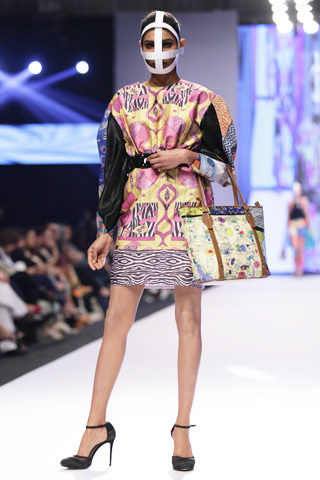 The designer used zebra and leopard prints layered alongside chevron stripes and kaleidoscopic colour creating a fresh look at an old classic. 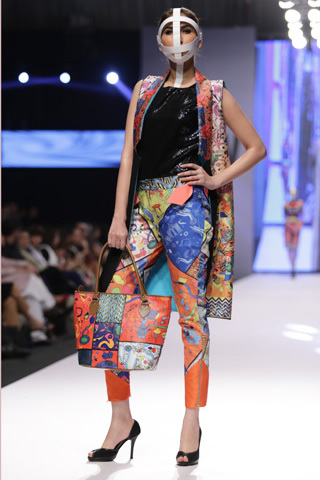 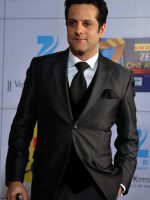 Attractive colors like yellow, blue, red, black, white, orange were mainly used. 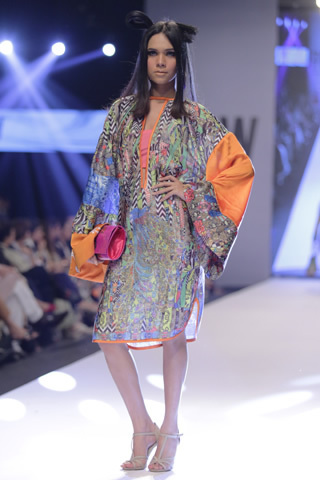 Psychedelic prints by Tapu Javeri, styled by Mohsin Ali has made the evening lively with such beautiful colors and designs.